Attention displaced bookworms! Our book review columnist, Beth Green, is back. 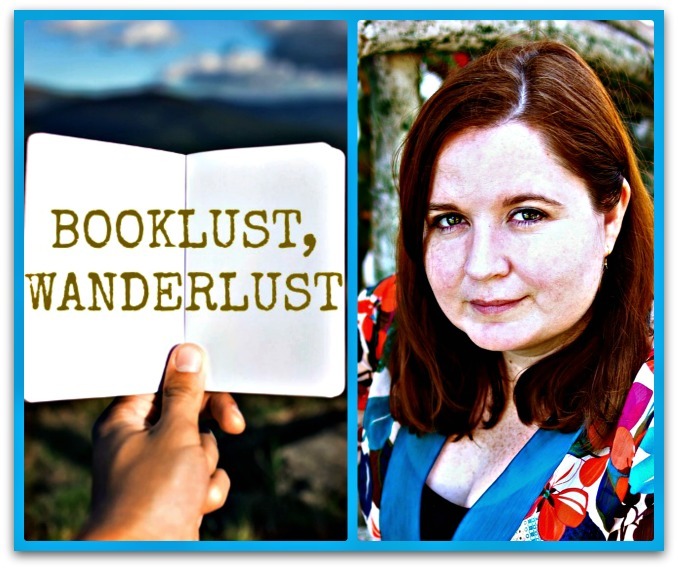 An American who lives in Prague, Beth mixes booklust with wanderlust in equal measures, which gives her just the right background for reviewing recent book releases on behalf of international creatives. November greetings, Displaced Nationers! I’ve been reading up a storm lately (including Tana French’s latest addition to the Dublin Murder Squad series that I reviewed here this past summer—another great book!). 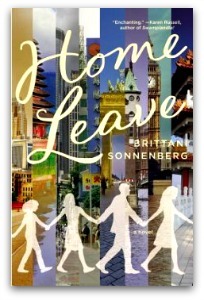 But as I contemplated which work to pull down from my digital bookshelf for this month’s review, my attention came to rest on a super example of Third Culture Kid fiction: Home Leave, the debut novel from Brittani Sonnenberg, which came out earlier this year. Perhaps I was attracted to this book because the story Sonnenberg tells, about a globetrotting family, reminds me of my own. As some of you may know, I grew up on a boat and spent most of my life before high school outside the US—we were seven years in the Caribbean and two in the South Pacific. Until Home Leave, Sonnenberg was known primarily for her short stories and NPR commentaries about life in Berlin. In fact, her novel started as a memoir, but then one of her agents encouraged her to try re-approaching the material through fiction. Home Leave concerns an American nuclear family, the Kriegsteins. The parents, Chris and Elise, determine to escape their dreary lives in the US by living and working overseas as expats. As Chris pursues a career at several international companies, their two daughters, Leah and Sophie, learn what it is to feel at home abroad and a stranger “at home” in the US. They revel in their uniqueness, but they also sometimes long for putting down roots and living like kids back home. Sonnenberg makes a creative decision not to have a single character as the protagonist. Each of the Kriegsteins is a main character, and there are multiple narrators. But for me, the book did have a star, and that was Leah. Sonnenberg links Leah’s emotional and personal success as a young adult to her peripatetic childhood, delivering in her a multifaceted portrait of a Third Culture Kid to whom other TCKs can relate. Even Leah, with eleven-year-old pretensions of grandeur, craved a “next,” though her memories of “before” Atlanta were limited to the backyard in London, fish and chips, and falling blossoms in a British park…Leah grumbled that they always went to the airport to pick people up but never went anywhere themselves. Like Persephone’s annual permitted return to her mother aboveground, by the gods in Olympus, the powers that be at Chris’s company will grant the Kriegstein women “home leave” once a year, each summer, when they will stay with friends and relatives, the flights covered by the company. In September they will be forced to leave again, back to China. This habit of home leave will cement Atlanta as “home” in their minds, since they always fly back to the Atlanta airport. When the Kriegsteins leave Atlanta for Shanghai in 1992…they are desperate to be overseas again. After three months in Shanghai, they will be desperate to return home. And once Leah is an adult, she faces the classic Adult Third Culture Kid dilemma—how to answer the unanswerable: “Where’s home?” Speaking for myself, I never seem to answer it the same way twice in a row! But what if one must re-start from tragedy? There is a further twist to the Kriegsteins’ story, which is that Leah’s younger sister, Sophie, dies unexpectedly in their teen years—another parallel to Sonnenberg’s own life (she lost her own sister, Blair). If you haven’t read the book yet, please note: to tell you about Sophie’s death is not a spoiler. Her death is referred to in the book before it happens, and at one point, her ghost actually narrates the story. Now, Leah’s strongest relationship is with Sophie—something any TCK out there will understand. As children in foreign places, Leah and Sophie are sometimes each other’s only playmate. As preteens, they look out for each other in Shanghai and share a conspiracy to run away back to Atlanta—a plan only foiled when airport staff won’t accept their father’s credit card without their dad present. Was Sophie’s death a foregone conclusion in any geography, a heart failure built into her system that would have struck her down on any continent? Later, the doctors would say, “There was nothing you could have done. Undetectable heart conditions are just that: undetectable. You mustn’t blame yourselves.” But because the death will happen in Singapore, its occurrence will be unimaginable anywhere else. Thus, in the parallel (irrational) universe, where they stay in Atlanta, where the good years never end, Sophie never dies. Years later, as an adult, when asked where she is from, Leah will always say “Atlanta,” as if we come from our joy, as if, aside from their goodness, there was anything to say about the good years. The TCK frequently builds relationships to all of the cultures, while not having full ownership in any. Although elements from each culture may be assimilated into the TCK’s life experience, the sense of belonging is in relationship to others of similar background. Sonnenberg gives us a sense of the disjointedness of the TCK upbringing, and the many identity issues this results in, by having each chapter of Home Leave read like its own short story, with its own narrator. Thus we go from Elise delivering an electric first-person narration of how she coped with her daughter’s death, to therapist appointments written like scenes in a play, to a first-person-plural foray into describing how a group of young TCK women experience university. Although this style can be jarring for the reader—the book you pick up in the afternoon doesn’t feel like the same book you put down in the morning—taken as a whole, Home Leave feels as fragmented as a life abroad sometimes feels. Most importantly of all, Sonnenberg’s book does not shy away from the irony of the TCK experience, which is that although a family may travel abroad to broaden its horizons, none of its members ends up having any long-standing relationships except with each other. And, in the case of the family she depicts in Home Leave, even those relationships are uncertain. As the novel’s action unfolds, the older Kriegsteins are shown to be deeply flawed people whose naivety toward the world, and indifference to the needs of their own children, is sometimes astounding. Home Leave left me feeling sorry for the Kriegsteins: they appear to have been impoverished by their life abroad, not enriched. Throughout the story, I kept wishing they might form a real connection to the places they inhabit and the people they encounter. But, except for the touching scene when Elise is pregnant in Germany, Chris’s ambitions and their own dysfunction buffers them from opportunities to create authentic bonds. The sections about Shanghai seemed particularly sad, though perhaps that’s only because we see the city partially through the lens of an awkward, pubescent Leah. But, although not all TCKs will find that the Kriegsteins’ experiences are close to their own, Home Leave is a gem of story suitable for anyone with international experience. And the quality of Sonnenberg’s writing is such that I’m really looking forward to seeing what she produces next. *Third Culture Kids: Growing Up Among Worlds, by David Pollock and Ruth Ven Reken (2009, rev. 2010). Thanks, Beth! I note that the New York Times reviewer of Home Leave concluded that in putting Leah at the book’s emotional core, not her parents, Sonnenberg has opened the door for the next generation of international creatives, no mean feat! Readers, any thoughts or responses? If you enjoyed this post, we invite you to register for The Displaced Dispatch, a round up of weekly posts from The Displaced Nation, with Alice nominations, exclusive book giveaways and other extras. Register for The Displaced Dispatch by clicking here!